Dreaming about the future creates dissonance. On one hand, we like to imagine a future utopia: the world is at peace, the moon is colonized, cats and dogs get along, and we all travel to work via hover cars or teleportation. On the other hand, we are disheartened by more realistic thoughts in which the world of the future is pretty much as it is now, just with cooler gadgets and a faster Internet. But what if there were changes taking place, visible changes today that we all see and comment on, which, together, carry enough momentum to utterly change the way we do business 25 years from now? In 2012, the Industrial Research Institute (IRI) commissioned a foresight study into the future of R&D management called IRI2038. After gathering “signals” about a variety of future and emerging trends, the project leadership generated several plausible scenarios about the future of R&D worth exploring further. In one scenario, Africa leapfrogs the developed world to become a manufacturing and economic powerhouse. Given where we are today, how will this come to pass? For starters, we have to consider the impact that current sustainability and environmental protection sentiments have on our collective identity. In this scenario, such post-modern values gradually result in ever-stifling regulations to limit how much a company can affect the natural world, eventually granting equal rights to Mother Nature. Seem far-fetched? Ecuador and Bolivia passed such laws in 2008 and 2010, respectively. As natural resources become further constrained, R&D innovations focus more and more on process and efficiency as the world moves deeper into a zero-sum competition over materials. This gives impetus to a movement already gaining strength: 3-D printing. By streamlining the use of raw materials, and re-using materials from old goods, a zero-waste society emerges. Cradle-to-grave responsibility over raw materials from company products becomes an asset instead of a burden, and expected legislation shifts material ownership from cradle-to-grave to cradle-to-cradle. This change then produces a flexible, decentralized, 3-D printing black market where goods are capable of being produced quickly, outside the control of large companies, and using resources near at hand. Additionally, the growth of a hyper-competitive churn for new products, which is already taking hold in today’s markets, pushes many companies out of public status — and its requirement to report on all activities and maintain standards dictated by investors. They opt instead to rely on this flexible manufacturing network and be privately held. Suddenly the world of manufacturing and big business is gradually undermined as free agency gains prominence, natural resources become difficult to obtain and expensive, and consumers expect a faster churn of new products. Africa, with its plethora of lush farmland, petroleum reservoirs, and large mineral deposits, becomes ripe for rapid growth in such a world where the 3-D printing black market feels right at home. Recognizing the value of their natural resources and with a young, well-educated population (thanks to the rise of online courses), African nations start a process of resource nationalization. Chinese and American interests are suddenly locked out of their previous ability to exploit Africa for its raw materials and African countries unite to develop a “resource empire” under a “Greater Federal Africa,” using a single currency. Unsaddled by legacy power grids and factories, Africa then leapfrogs the rest of the world in the development of a new economy and leads the 21st century in growth and innovation. We try to anticipate how changes in manufacturing, labor organization, environmental regulations, IP law, product development, and consumer behavior might affect the way we work, but we can never be certain. If one were to say to you today that they expect Africa to rise, unite, and then dominate the global economy sometime in the next three decades, would you believe them? Take a walk through our scenario reports and then ask yourself that question again. Many of the trends that are just emerging today carry with them small kernels of change. Taken together, they represent a complete transformation. 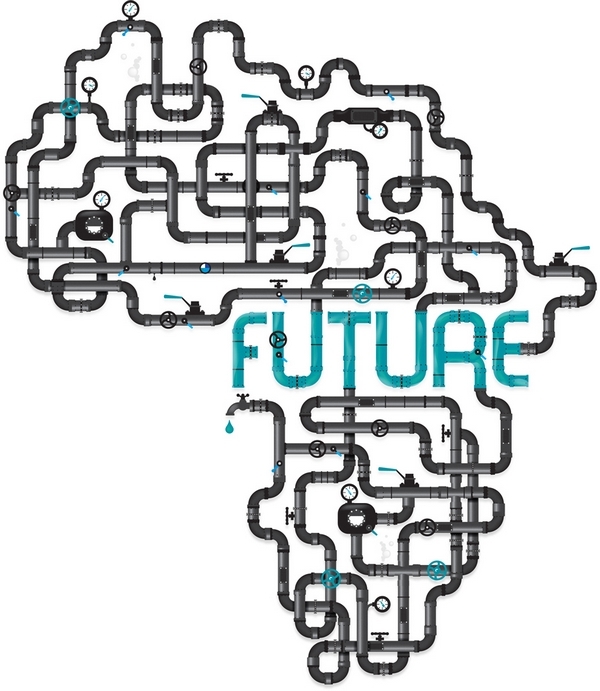 Are you ready for a not-so-far-fetched future led by Africa?